Deadline for submission of proposals is September 30, 2018. Complete LWML Mission Grant proposal submission information may be found at lwml.org/mission-grant-proposals. 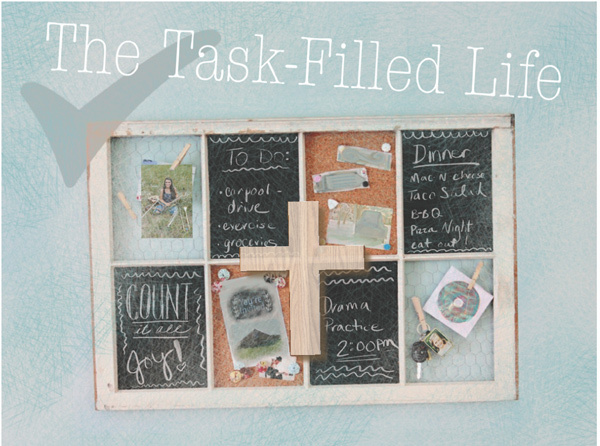 The Task-Filled Life, authored by Jan Brunette, will be available online and downloadable beginning Saturday, October 6 at lwml.org/life. Jan is currently serving as an LWML Texas District Heart to Heart Sisters Leader. Her passion lies in sharing the love of our Triune God with as many women as possible. She desires to encourage them to spend time in God’s Word on a regular basis through powerful stories and illustrations. The first main session, The Great I AM, will begin the six-week series, with short sessions each following day for digging a little deeper. Opening Prayer from the first session: Dear Father in heaven, open my heart and my mind to the wonders of Who you are – the Great I AM. Prepare me for the pleasures that are yet to come and the grace with which I will be blessed. In Jesus’ name I ask this. Amen. 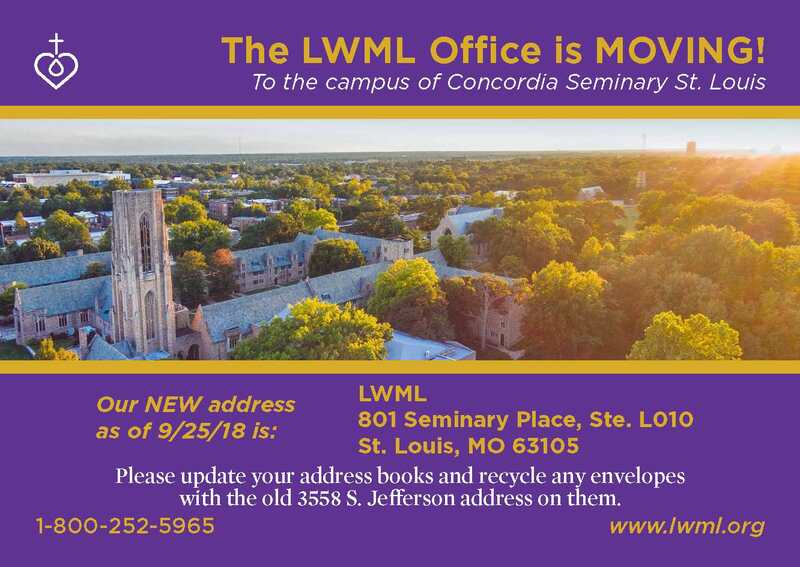 If you are in the area, we welcome you to stop by and visit! 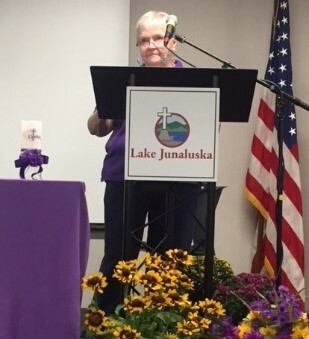 Even with Hurricane Florence creeping across their states, the LWML Carolinas District women were determined to hold their 66th convention at Lake Junaluska Christian Conference and Retreat Center in Western North Carolina on Sept. 14 and 15. 103 women and men (of the 116 preregistered) braved the storm and celebrated under the theme “SOS - Serving Our Savior.” Gifts from the Heart benefitted Haywood Pathway Center, which provides emergency services to the homeless, addiction recovery support, and crisis pregnancy assistance. Servant Activities were filling backpacks with school supplies for Orphan Grain Train and sending cards of encouragement to seminary students. The convention opened with a service of Holy Communion in Junaluska’s chapel, followed by a reception honoring outgoing LWML Carolinas District President Carolyn Smith. 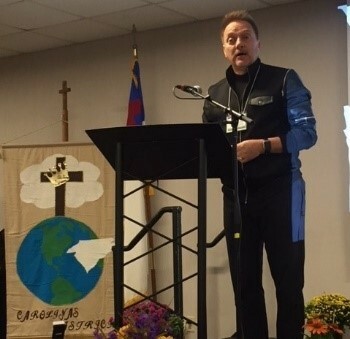 Because the rain and winds were moving into the area by afternoon, some of Saturday's business and presentations were condensed, but attendees were still able to hear both parts of the keynote address by Rev. Dr. Gregory Seltz, Executive Director of the Lutheran Center for Religious Liberty — “Called by God to BOAST of Him (1 Cor. 1:26-31)” and “The LCRL and You — Engaging the culture as God’s people for the sake of the Gospel.” Devotions and prayers were led by Senior Pastoral Counselor John Fair. Because the flights for LWML Representative Carol von Soosten were cancelled, LWML Parliamentarian Barbara Volk introduced the video greetings from President Patti Ross and provided an overview of LWML products, resources, and services. 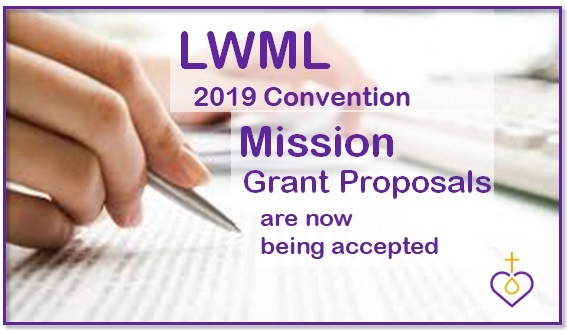 Business included voting for officers, with Cheryl Wulfert elected district president for 2018–2022; selection of a mission goal of $67,000 and district mission grants for 2018–2020; invitation to the 2019 LWML Convention in Mobile; and thanks to all who worked on the convention, particularly Donna Kleister, convention host committee chairman and Western Zone President. And I will be a father to you, and you shall be sons and daughters to me, says the Lord Almighty (2 Corinthians 6:18) provided the theme “Daughters of the King — Sisters in Christ” for the LWML Nebraska South District (NSD) Convention held at the Younes Conference Center in Kearney, Neb., September 14– 15, 2018. There were 332 registered attendees. 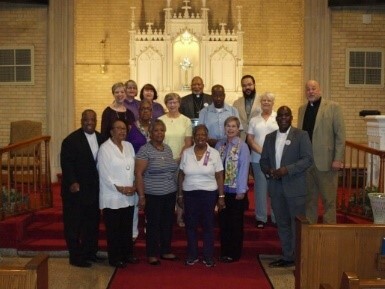 Opening worship service was led by current District Counselors Rev. Brian Francik and Rev. Rob Kuefner. 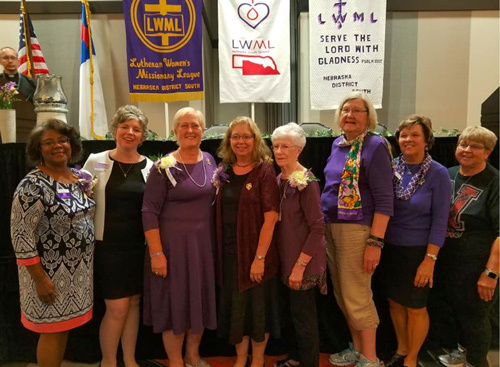 Following the opening processional, LWML NSD President Katy Gifford convened the convention and directed the business of the district including the election of officers, bylaw changes, the selection of mission grants, and the approval of a Mission Goal of $105,000 for the 2018-2020 biennium. 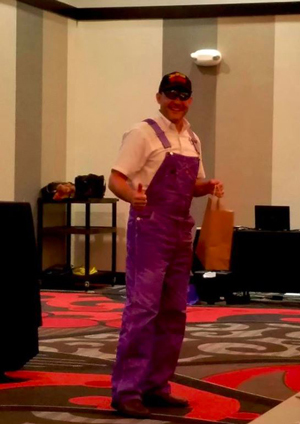 Using the convention theme, Rev. Dr. Brian Friedrich of Concordia University, Seward, Neb., led the Bible study. Keynote speaker, Katie Schuermann, tied her book, “Pew Sisters”, into the convention theme. Rev. Dr. Brent Smith brought news from the mission field, updating them on what the Lord is doing at Mission Central. Leading the 17 Young Woman Representatives (YWR) and nine teen in activities was Brianne Stahlecker who serves on the LWML Committee on Young Women. Elaine Bickel provided laughter with her convention “interruptions”. Break-out session presenters were Rev. Dr. Brent Smith, Katie Schuermann, and LWML Vice President of Special Focus Ministries Kaye Wolff. As the LWML Representative to the convention, Kaye also brought LWML greetings. Participation in Servant Events included: 1) tying baby quilts; 2) making salvation/faith bracelets; 3) writing to missionaries and first- year pastors; 4) signing Christmas cards to military personnel; and 5) making hats/caps from yarn using a special loom. Items for the Gifts from the Heart ingathering were collected and local agencies supported. 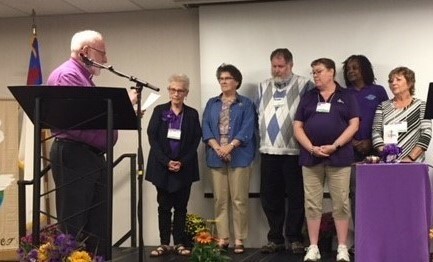 Following the 2020 LWML NSD Convention invitation, voting results, dedication of the Gifts from the Heart, installation of officers, and closing worship service, the convention was adjourned. The banquet followed featuring Elaine Bickel as speaker. 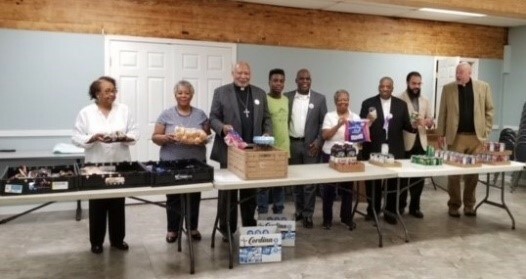 Help us celebrate with the six inner-city LCMS churches in New Orleans, La., who received a check for the first half of this grant on Monday, September 10th at Gloria Dei Lutheran Church. 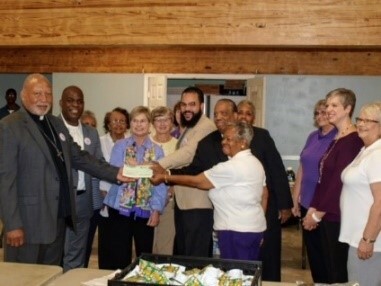 LWML LA-MS District President Anita Granger and other local Lutheran Women in Mission presented the check to the six churches who have come together to serve Christ by serving their neighbors and providing food and shelter. The NOLA 4H churches work closely with other organizations to support various outreach ministries such as food and clothing banks. They also provide toiletries, Bibles, prayer books, counseling, and clinics. Your mite offerings, given in prayer, go towards these ministries. Thank you for your faithful support! For more information, click here at lwml.org/2017-2019-mission-grant-8. GIVING TUESDAY — November 27, 2018 — SAVE THE DATE! Why should you mark your calendars? Many organizations participate in Giving Tuesday, which is held the Tuesday after Thanksgiving, but LWML Giving Tuesday is special. LWML Giving Tuesday affords you the opportunity to double your offerings towards the LWML Mission Goal, thanks to two anonymous donors who will match up to $20,000! As you gather for LWML Sunday and fall events, share this LWML Giving Tuesday opportunity with others to further the Gospel outreach. Visit lwml.org/givingtuesday for a bulletin insert, full-page flyer, or more information. ✓ Mites For Missions – On Your Mark, Get Ready, Save! Mites will be collected on LWML Sunday, (insert date). Please join in making a joyful noise to the Lord. 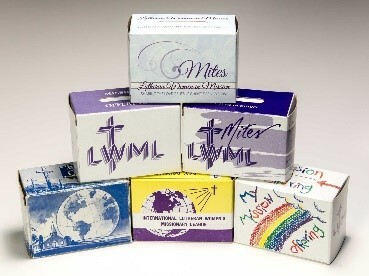 Based on the Biblical account of the widow's mite, the Mite Box is intended for regular contributions of "mites" — offerings above and beyond the support given to the congregation and the Synod. Mite Box contributions amount to millions of dollars that fund district and national mission grants. In fact, the LWML has collected over $100 million dollars since 1942. Yes … these coins have and will continue to make a difference. Thank you for contributing to the Mite Box and providing the opportunity to spread the Gospel to the world. Mite Boxes have changed in color and design over the years, but what has never changed is the dedication of freely given offerings for the purpose of reaching out to others with the Good News of Jesus Christ. Districts retain 75% of mite offerings for the work of the LWML at that level. Based on the Biblical account of the widow's mite, the Mite Box is intended for regular contributions of "mites" — offerings above and beyond the support given to the congregation and the Synod. 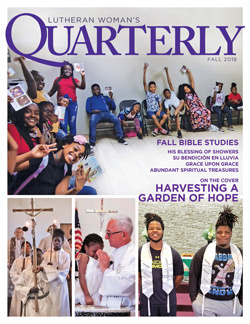 Open the pages of the fall 2018 Quarterly! You will enjoy being showered with stories of God's blessings in the lives of His people. You'll find Bible studies, devotions, personal accounts, and news of women in mission at work around the globe. This issue will bless you with the His joy as you take time to count your own blessings He places in your lives.